Born in Poland, Rob spent his early childhood hiking and skiing the mountains of his homeland.In the late 1970’s his family escaped the Communist controlled country and ended up in West Germany. Eventually the family was able to emigrate to the United States. After a short stay in New York they traveled west and established a new home in beautiful Colorado. Rob has lived most of his adult life in Colorado as an entrepreneur, launching and ultimately selling two successful businesses and raising two beautiful daughters. Perpetually the outdoorsman, Rob has spent decades exploring the Rockies; hiking, backcountry skiing, hunting and fishing and volunteering with a local mountain search and Rescue team, but there was always something calling him to the sea. With his wife Deanna, they spend most of their vacations out on the water; visiting beaches in Mexico, Hawaii and Nicaragua and chartering boats in the Virgin Islands and Alaska. Rob and Deanna’s motto is “Christmas at the beach”. Following their dreams, Rob and Deanna sold their Colorado mountain home and moved onboard their Selene 55 Ocean Trawler in 2017. Today they are cruising the spectacular Channel Islands, California with their two dogs – Moose and Luna. From his trawler, Rob runs Bella Luna Charter, a luxury yacht charter business in Southern California. He has also completed his OUPV Captain’s License examination and is working on accumulating the required sea time. 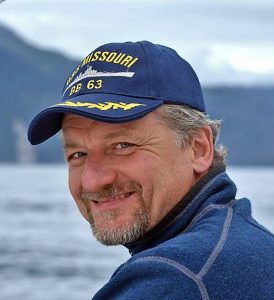 Rob is a licensed California Yacht and Ship Salesperson and looks forward to sharing his love of the sea and experience as a trawler owner with others who are interested in discovering the joy and freedom that the trawler lifestyle makes possible.